Want to see all the technologies used by dailyherald.com? Daily Herald is a daily newspaper that covers news, business, and entertainment in Chicago's suburbs. Daily Herald’s combined print and digital readership continues to increase earning it a prestigious spot in the Top 25 Newspaper Audience Gainers, a national study released by the Alliance for Audited Media. In an era of change, the independent and locally-owned newspaper is becoming increasingly rare. Daily Herald is an exception and proud of its history. The newspaper has facilities in Arlington Heights, Schaumburg, Elgin, Vernon Hills, and Lisle. Serving more than 100 communities, 100,000 households, and 750,440 readers, Daily Herald is known for its award-winning journalism. Daily Herald was launched in 1872 in Arlington Heights, Illinois. 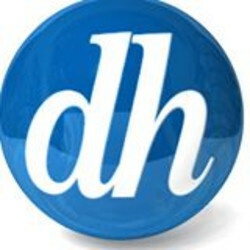 For a quick look at additional technographic info on dailyherald.com or any domain on the web, download our Chrome Extension. Check out our help article to see how Datanyze Insider can help you.